The history of Nigeria will never be complete if the flag is not mentioned, talkless of the person who took his time to design the country’s logo. 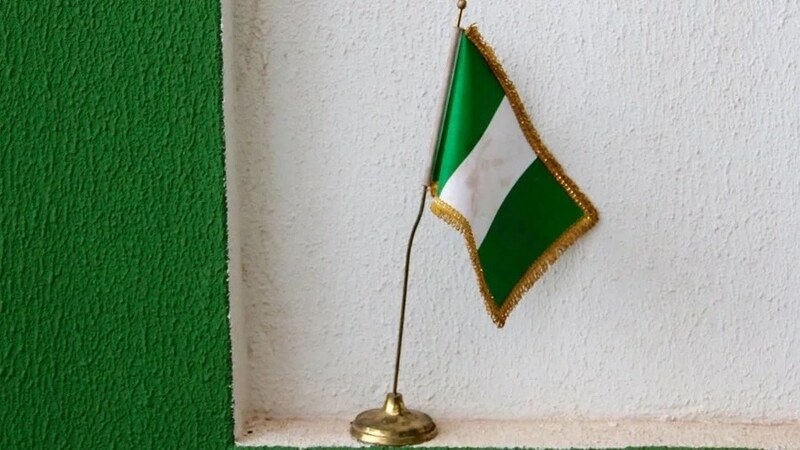 History records that the Nigerian flag was designed in 1958 by one Michael Taiwo Akinkunmi who was just 23-year-old at that time. After his design was accepted by the government, it was officially launched on October 1, 1960. Looking at the flag from then till now, the country’s logo has maintained its official colors green and white for many decades. The two green stripes represent Nigeria’s natural wealth, while the white in the middle represents peace. It could be recalled that Akinkunmi who is now 82-year-old, was a 23-year-old student studying at Norwich Technical College in London, England. The young man came across an advertisement in a newspaper that submissions were being accepted for the design of a new national flag of Nigeria. 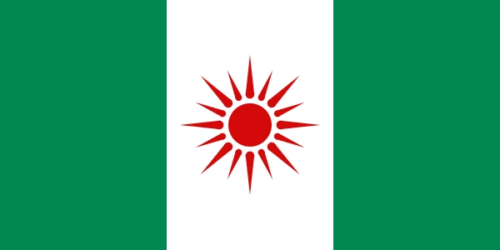 He began to show o his skills and he finally came up with his original submission which had a red radiating sun badge in the central white vertical band with a green vertical band on each side. Akinkunmi’s design was accepted but the judges removed the red sun badge in the middle and the flag has remained unchanged ever since. The flag was then launched on October 1, 1960, the year Nigeria was granted its independence by the United Kingdom (UK). He was paid the sum of £100 which was equal to $281 (N42,150) in 1959. Now, Akinkunmi is a retired Nigerian civil servant who was born in Ibadan, Oyo state. 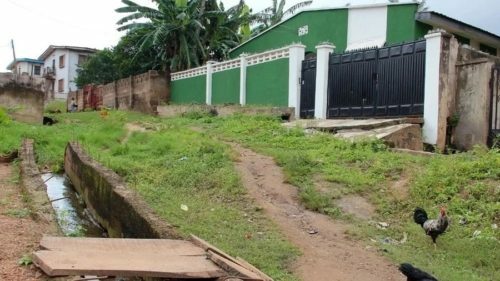 He lived with his father till he was 8-year-old before relocating to the Northern part of the country where he began his early education. After his father’s retirement, he came down to the west and was re-enrolled at Baptist Day School, Idi-Ikan in Ibadan. 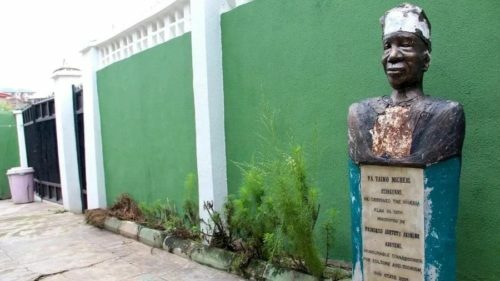 He finished from there in 1949 and proceeded to Ibadan Grammar School (IGS) in 1950 where he enjoyed a very good education. He left IGS in 1955 and took an appointment as an agriculturist at the Western Region Secretariat in Ibadan as a civil servant. In 1963, Akinkunmi returned to Nigeria and went back to the agricultural department at the secretariat in Ibadan to continue from where he stopped. He worked as a civil servant until 1994 and retired as assistant superintendent of agriculture. On September 29, 2014, he was honoured with Officer of the order of Federal Republic (OFR) and honorary life presidential adviser at the conference centre Abuja.  Realhitz.com earlier reported that Akinkunmi’s health has now deteriorated so badly that he cannot remember his age. He is unable to remember what he was doing on October 1, 1960 when the flag was hoisted for the first time in history. “Well, I was just pleased,” is the only thing that Akinkunmi can recount. After his retirement which was due to his health, Akinkunmi’s pensions were so irregular that he was that he could not even feed himself. His neighbours had to come to his rescue, handing him food and clothes. 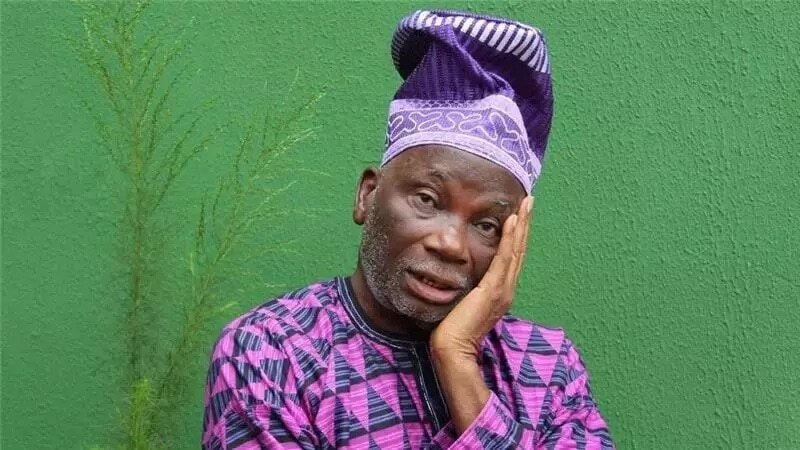 However, in 2008, it was reported that he old man was given a cheque of two million naira as fee for his appearance on a TV show. 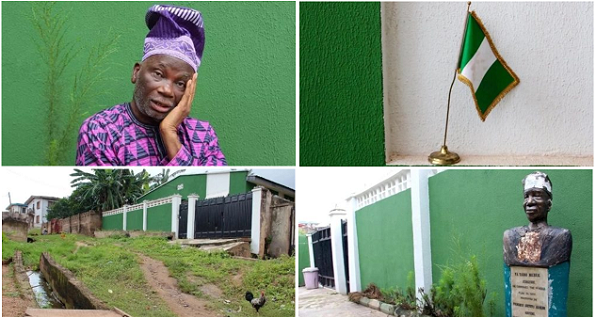 Akinkunmi‘s son used this money to build the house of dream for his father painted with the colours of Nigerian flag. Akinkunmi now lives with his son as his wife left him many years back due to his health condition. Akinkunmi now lives like a forgotten hero in the poorest areas in Ibadan. He was fondly called, ‘Mr Flag Man’.